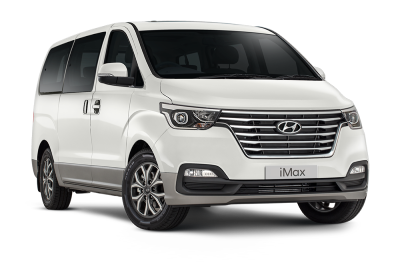 Whether it’s ferrying the kids home or shuttling guests to the hotel or airport, the 8-seater Hyundai iMax is an impressive lifestyle solution that’s designed to outperform. $48,490 drive away campaign price applies to iMax TQ4 Elite 2.5 Diesel Automatic model only. The iMax features automatic dusk sensing headlamps where as soon as the light dims, either at dusk or when encountering low light levels such as in tunnels or underground car parks, the iMax’s headlamps turn on. 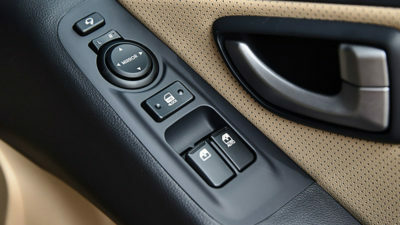 iMax Elite comes standard with a full beige leather† appointed interior, and a two-tone colour layout on the dash. 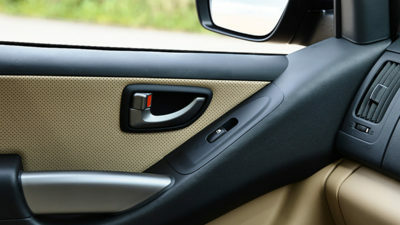 Leather treatments are applied to door inserts to complete the package. The iMax now features dual sunroofs for all your passengers to enjoy. 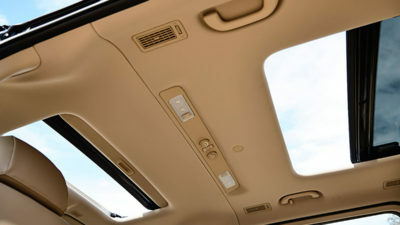 Front passengers have access to a tilt and slide sunroof, while second row passengers can open a sliding sunroof. Controls to both are accessible from the first row. Apple CarPlay™ & Android™ Auto. Juggling a busy lifestyle? 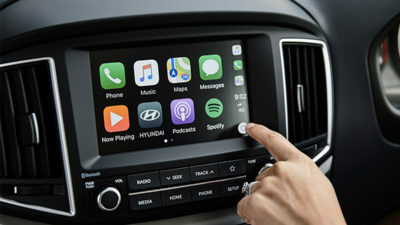 Stay connected to your world by using Apple CarPlay™ or Android™ Auto to link your smartphone to the 7” screen. Whether you need a good-looking shuttle for the school run, or a professional-looking workhorse, the sleek iMax combines efficiency with lifestyle practicality in one elegant package. 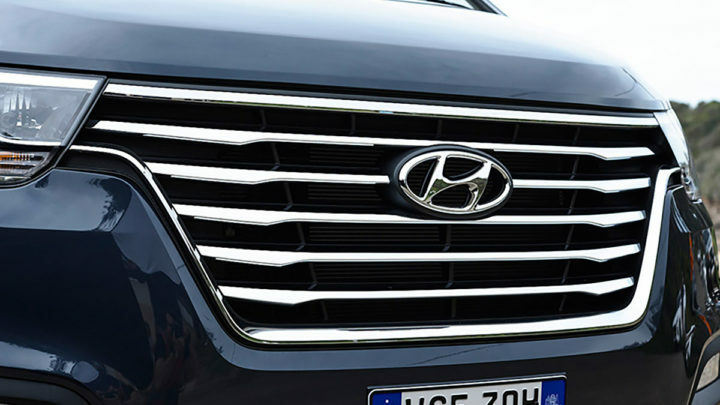 The Active variant features a flowing black bar grille with a chrome lip surround, whilst the Elite variant is further enhanced with chrome bar inserts. 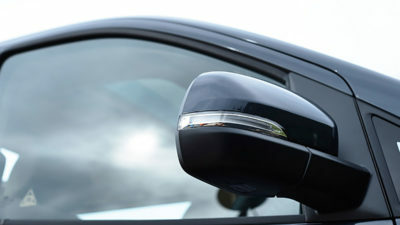 Electric folding mirrors with side repeater. The iMax now comes with a side repeater nestled within the side mirrors. The mirrors can also be folded away by the driver at the push of a button, in situations such as when parking in tight spaces. 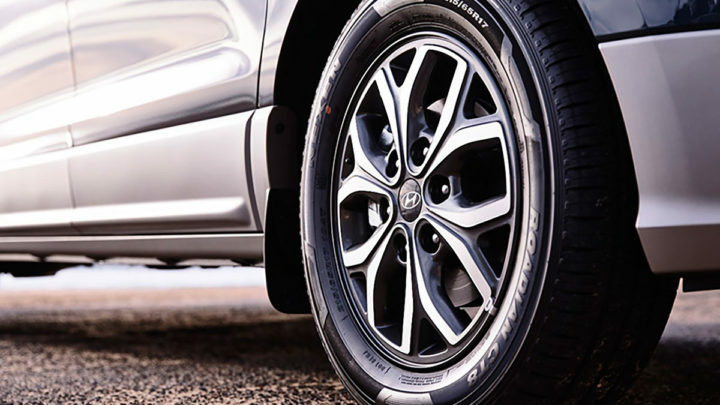 Gleaming 16-inch (Active) or 17-inch (Elite) alloy wheels add extra polish to your minivan, and also assist with performance and balance. 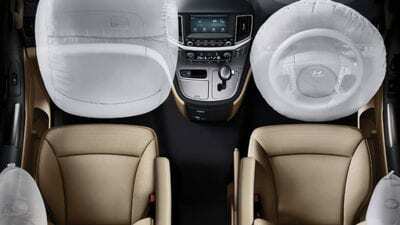 Keep passengers happy with generous seating that provides everyone with plenty of space, plus home comforts like air-conditioning and a chilled glovebox. 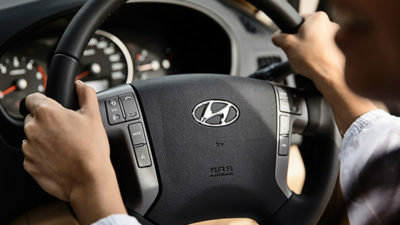 Supervision cluster with trip computer. 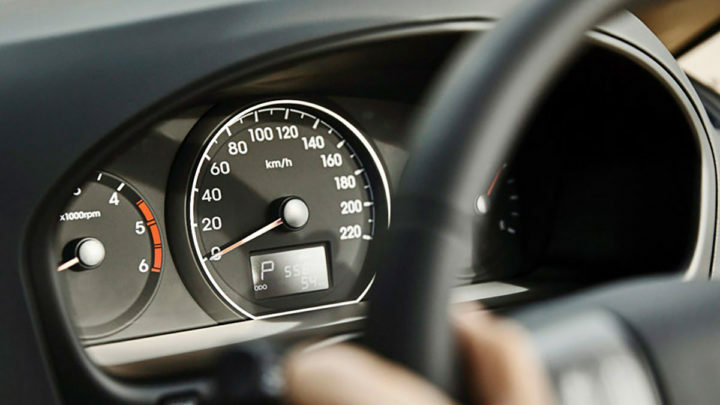 Keep an eye on your key driving data with the supervision cluster, incorporating a trip computer. Your most important data is easy to interpret, without losing focus on the road ahead. Elite variant shown. 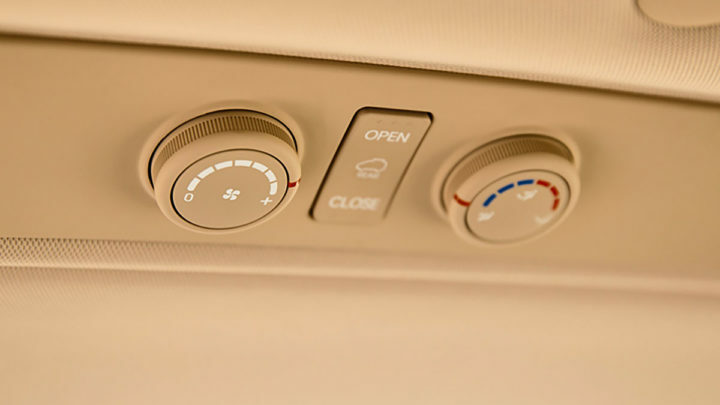 With cool air circulated to every row in this people carrier, any seat is a great choice, and helps keep everyone sitting comfortably. Stay connected on the road. 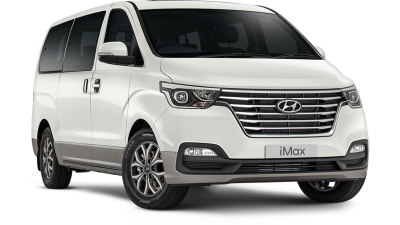 Showcasing its full potential as a people carrier, the iMax provides a suite of technology designed to keep your family and passengers entertained on the road. Juggling a busy lifestyle? Stay connected to your world by using Apple CarPlay® or Android Auto to link your smartphone to the 7” screen. Steering wheel mounted audio controls. 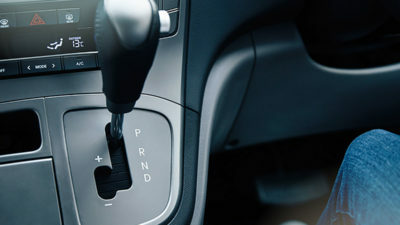 Play DJ and switch songs from the steering wheel –all without ever taking your eyes off the road. 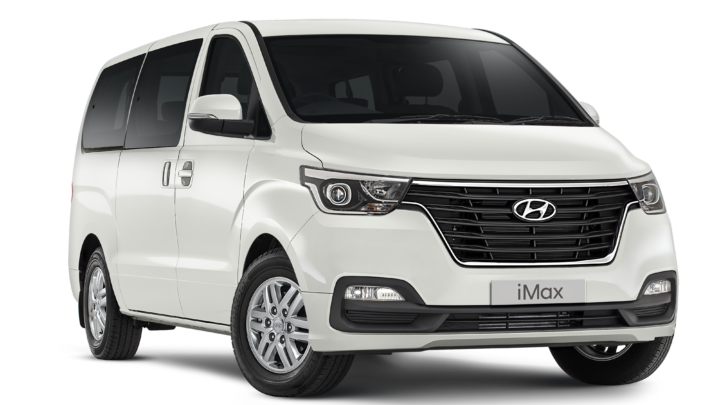 With powered windows and mirrors at your fingertips, the iMax minivan ensures you can perform manual tasks at the touch of a button. 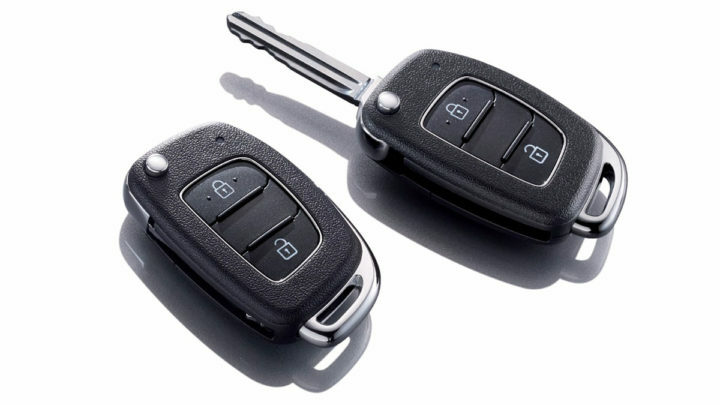 Keyless entry and folding remote key. With keyless entry, you can lock and unlock your passenger van from afar, with a folding key designed to store easily. Help make every journey a smooth one. 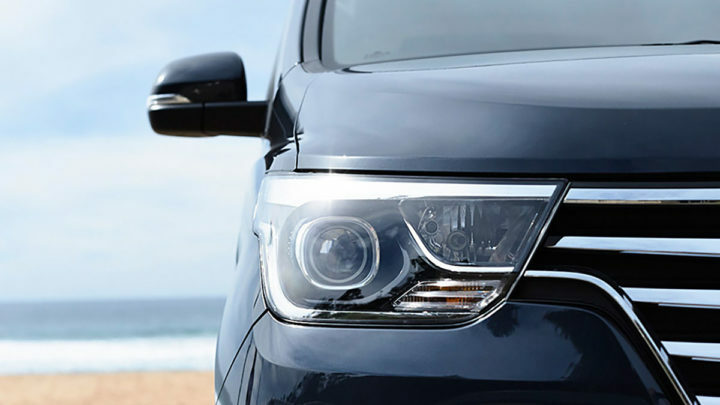 Engineered to handle the heaviest of loads, our minivan tackles even difficult conditions with ease, and offers excellent suspension and handling on even the bumpiest of roads. 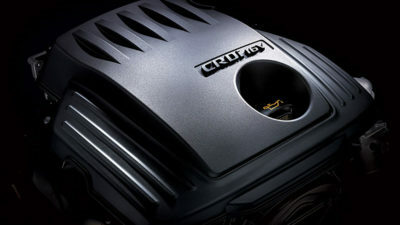 With variable-geometry turbocharging (VGT), the 2.5 CRDi engine produces 125kW maximum power at 3,600rpm and outstanding 441Nm maximum torque between 2,000-2,250rpm. The iMax’s 2.5L CRDi diesel engine is mated to Hyundai’s five-speed automatic transmission, giving you smoother shifts at the right time. With rear wheel drive, the iMax provides sharper steering and better traction when loaded up. Security and peace of mind. Wherever your journey leads, we do our best to make sure you arrive safely. 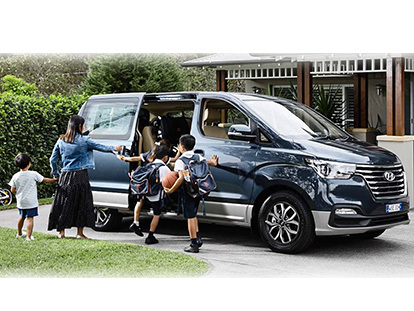 That’s why we’ve built our trusted people carrier to be robust, secure, and fitted with technology that keeps you safe on the road. 4 star ANCAP (tested 2009). 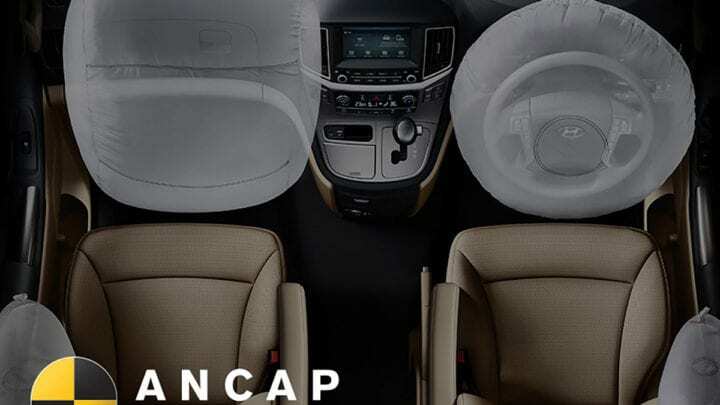 With the iMax’s 4-star ANCAP safety rating (tested 2009) and dual front and side airbags, you can drive with peace of mind. Reversing is made easy, with a high resolution camera mounted on the rear door. 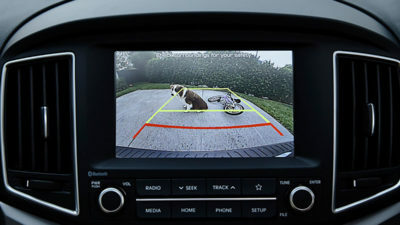 Start reversing and your view behind is automatically projected on the 7” multimedia display. 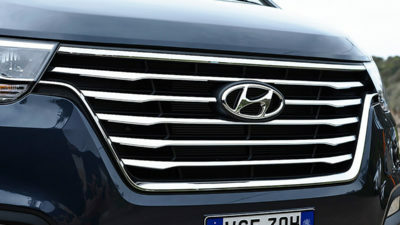 Dual front and side airbags. Keeping you safe is our first priority. Dual front and side airbags to the minivan give you peace of mind, and help cushion you (and your passengers) from possible injury. 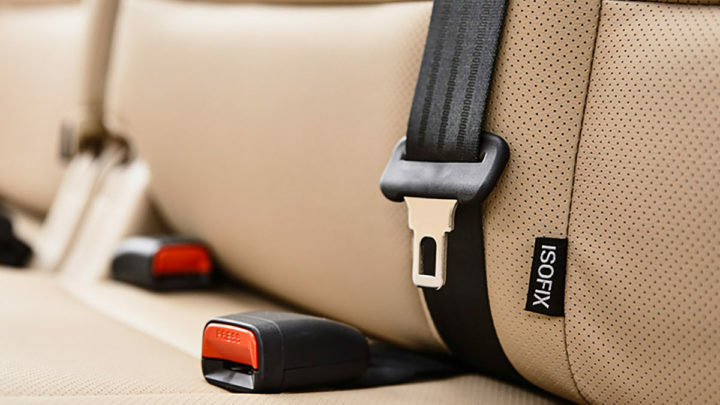 Fitted on the second row outboard seats, our ISOFIX anchor points ensure child safety seats are tightly secured. One of the most important safety features for those with young passengers.